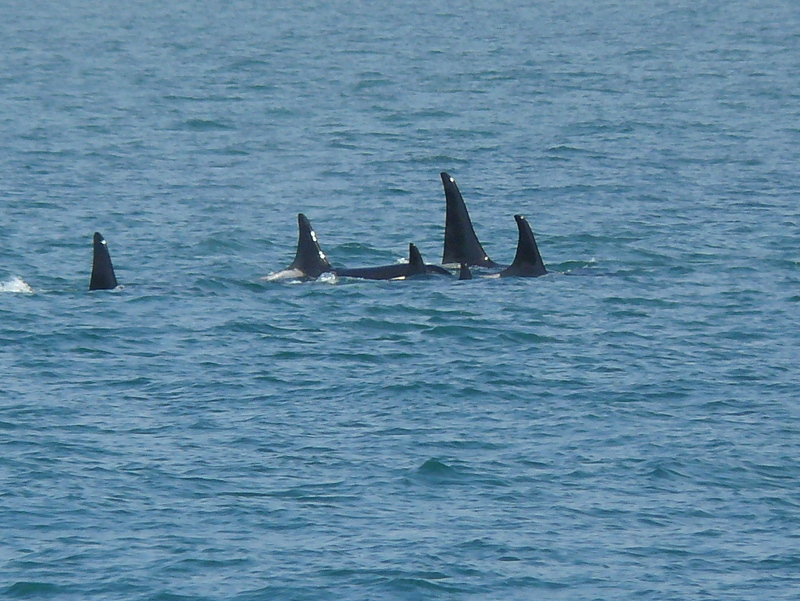 One of my favorite Orca sightings is when they are resting. Shoulder to shoulder, synchronizing their breathing and movements is beautiful. Today, from 3:32pm to 4:20pm, a fog bank was lifting we saw 2 very large and 1 smaller groups of L-Pod clan sleeping; resting one hemisphere of their brain at a time. 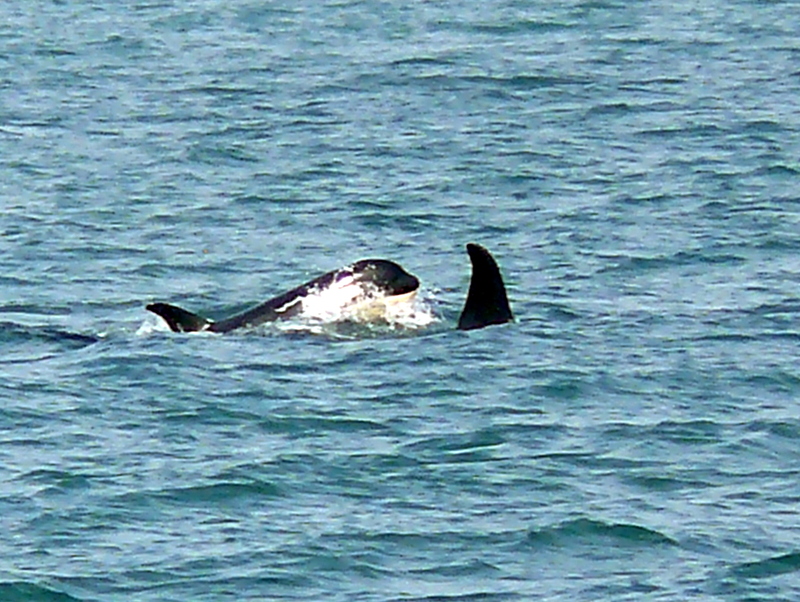 (They are not automatic breathers like humans, they would drown if fully asleep, I admire their adaptation!) 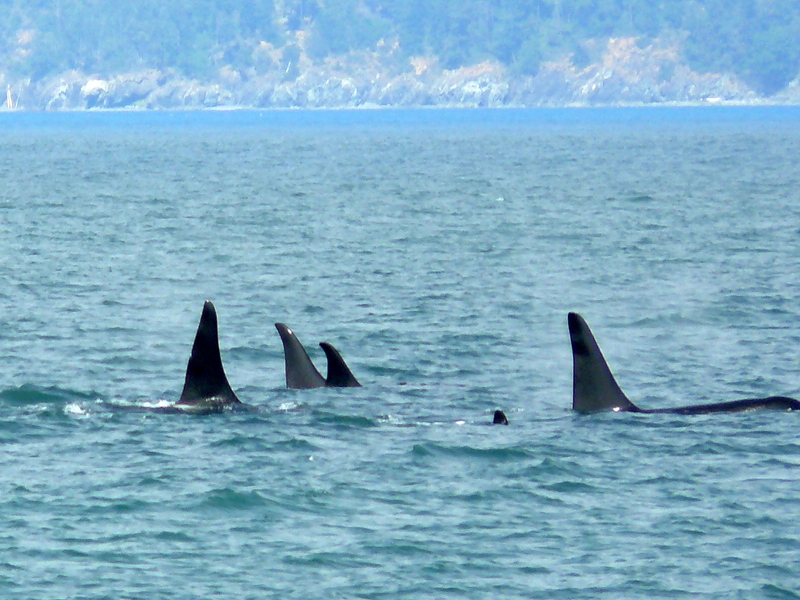 They were slowly heading south down Rosario Strait, against the strong flooding tide. This may have helped them basically stay in place with very little energy expenditure while resting. 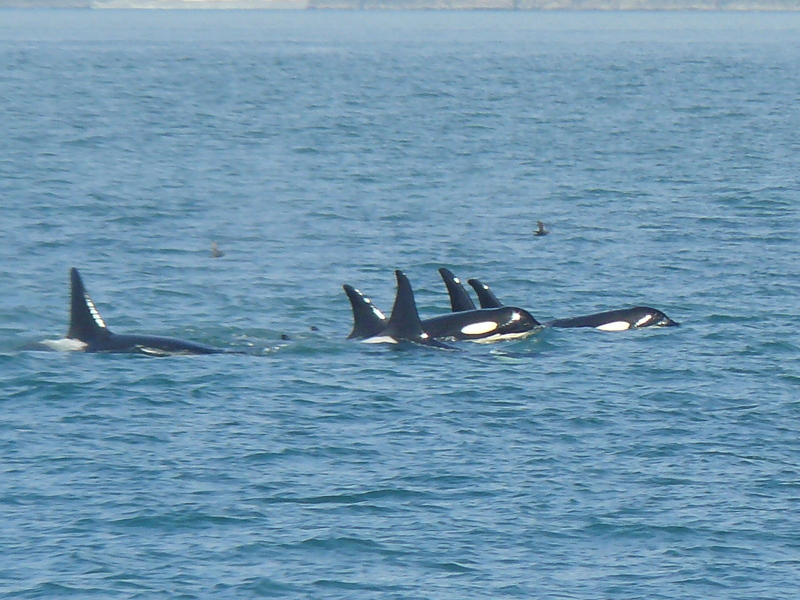 Able to ID L-41 Mega (so elegant and stately now that he’s the eldest male, 34 years old, in the Southern Resident Community of Killer Whales), L-72 Racer, and L-77 Matia. 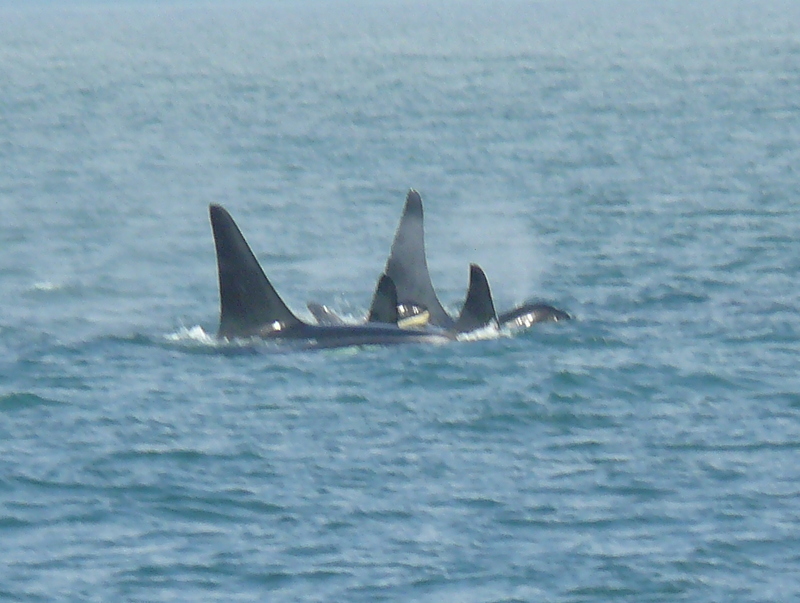 As we left the area, heading away from the whales, they woke up, spread apart, turned toward Whidbey Island, and breached twice like a goodbye! 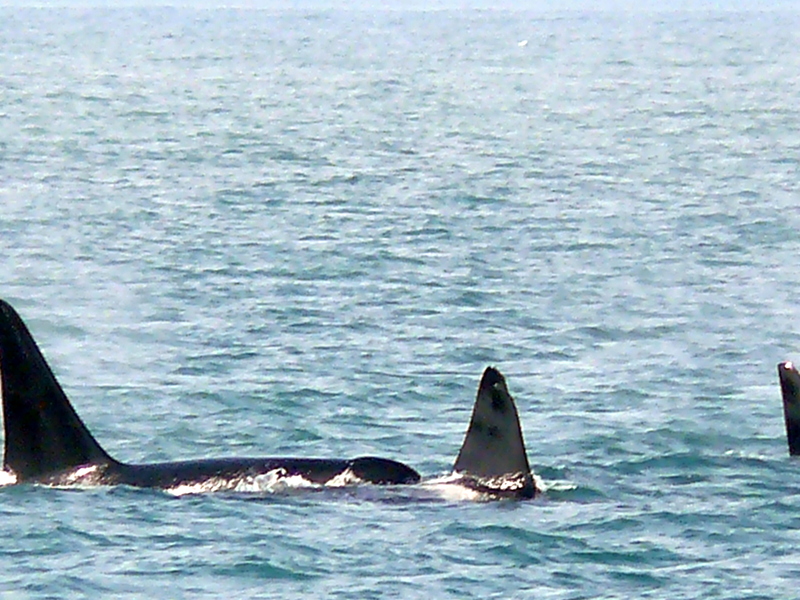 Orcas & Dorsal Fins Right Next to Each Other!